Plans for a new wave of selective schools in England have come under fire from former Tory Education Secretary Nicky Morgan and many educationalists. Mrs Morgan said Theresa May’s plans to lift the ban on new selective schools, including grammars, risked undermining six years of education reform. All schools are to be given the right to apply to select pupils by ability under the plans. Mrs May says the overhaul is motivated by a commitment to social mobility. But Mrs Morgan said it was “at best a distraction from crucial reforms to raise standards and narrow the attainment gap and at worst risk actively undermining six years of progressive education reform”. The prime minister’s plans suggest schools becoming selective and new and expanding grammars will take quotas of poor pupils or help run other schools. Mrs May argued the ban on new selective schools has been in place too long and has held many pupils back. Ofsted’s chief inspector of schools, Sir Michael Wilshaw, said the idea that poor children would benefit from a return of grammar schools was “tosh” and “nonsense”. For two decades the grammar school question seemed settled. Academic selection was allowed to continue in some parts of England but there would be no new grammar schools built. For Labour, opposition to schools they see as divisive and unfair goes back to the 1960s. In contrast, the Conservative Party has wrestled with the issue for years. For many Tory politicians and activists, grammar schools are ladders of aspiration and pillars of belief – springboards for sending bright children from modest means into the professions. But while leaders like John Major promised to revive grammar schools, none did – and David Cameron was dismissive of the idea that they could fuel social mobility. First, Theresa May is clear she’s not talking about a return to the 11-plus and secondary moderns. Second, the profile of the government has changed – 20 members of the new cabinet went to state schools and half a dozen of those were grammars. Mrs May’s influential chief of staff Nick Timothy is from a working-class background and attended a Birmingham grammar school. These are people who can talk about meritocracy in a way Mr Cameron could not, strivers who made it – and that is shaping their politics. Labour leader Jeremy Corbyn said his party would block the proposals at every stage of their passage in the Commons. “Fundamentally, it’s the same as the old 11-plus system, in that it is dividing children on the basis of their perceived ability at the age of 11. He added that comprehensive schools “help social mobility, help children develop at their own pace and bring communities together”. Liberal Democrat leader Tim Farron predicted the “out-of-date, ineffective approach” would be defeated in the House of Lords. In a major speech, the prime minister said an arbitrary rule preventing selective schools from being established had been tolerated for too long. “The truth is that we already have selection in our school system – and it’s selection by house price, selection by wealth. That is simply unfair. She said schools should be able to select on the basis of ability, adding that many already selected on the basis of disciplines like music and sport. But Mrs May said the government would use the approvals process to prevent new areas of the country having a limited “binary” choice or schools. The plans will also include the ability for bright children to join grammar schools, not just at 11, but at 14 and 16 as well. The speech announced an end to the current ban on opening new grammars introduced by Labour in 1998. It is thought that an Act of Parliament would be needed for the ban to be lifted on new selective schools opening, but a change in the law may not be required for grammar schools to expand. 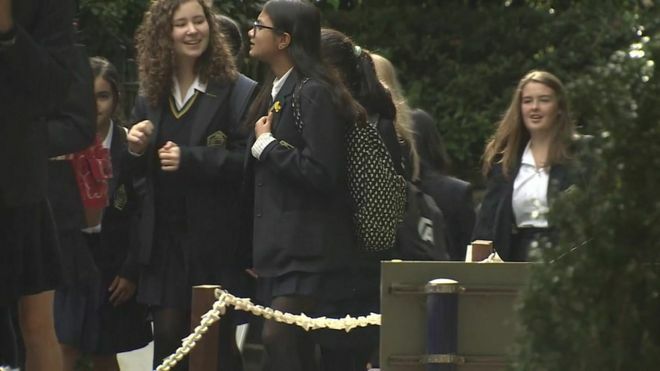 A consultation is to be held on ways to make new selective schools and expanding grammars more inclusive so that places are not limited to families who can “pay for tuition to pass the test”. Education Secretary Justine Greening told the BBC the government wanted to create 21st Century grammar schools that would “turbo charge” the education and prospects of disadvantaged children. There are also plans to make tests for independent schools qualifying for charitable status more rigorous. Private schools reduce their tax bills through this, and Mrs May said a consultation would be held on how to achieve a greater public benefit in return.